62. As noted previously, operations of the Jewish Agency for Israel have been reduced in scope in Kharkiv, reflecting financial constraints. JAFI maintains a small office in the city, now staffed by local coordinators, that continues to operate several Jewish-identity and aliyah-related programs. The office is visited several days each month by the Dnipropetrovsk-based director of JAFI operations in eastern Ukraine. The Jewish Agency holds aliyah seminars and fairs in the city, recruits young people for Taglit and MASA, offers Hebrew ulpan classes, and assists aliyah candidates in making arrangements for their move to Israel and enrollment in absorption programs. This assistance sometimes entails sophisticated placement services for highly trained scientists from a Kharkiv academic or scientific institute. 63. It is the policy of the American Jewish Joint Distribution Committee, said outgoing Kharkiv-area director Oksana Galkina, to transfer area directors out of their positions every five years and replace them with someone new to the region. Mickey Katsif, who has been assigned to Moldova for the past five years, will replace her in Kharkiv within the next few months, said Ms. Galkina. Ms. Galkina herself will assume a new position, that of JDC Director of External Relations and Government Affairs for Ukraine. It is a pilot position that may be extended to other areas of the post-Soviet states, said Ms. Galkina., It responds to the perception of the new JDC director of post-Soviet programs, Ofer Glanz, that JDC must be more open, she continued. Ms. Galkina stated that the new position has three major responsibilities: (1) to engage with other Jewish organizations - such as Hillel, the Jewish Agency, and Chabad - in pursuit of collaborative programs; (2) to develop relations with various government bodies in pursuit of collaborative programs; and (3) to develop relationships with businesses, specifically large international concerns - such as Coca Cola and McDonalds - that have a history of philanthropic activity in an attempt to engage them in philanthropy that benefits JDC. In response to a question, Ms. Galkina said that she will be based in Kharkiv, her home city, for now, but it is possible that her office may be transferred to Kyiv in the future. Oksana Galkina, will undertake a new position as Director of External Relations and Govern-ment Affairs for JDC in Ukraine. She will be replaced as JDC director in Kharkiv and the surrounding region by Mickey Katsif, who has occupied a similar position in Moldova. The new JDC building in Kharkiv, which opened in 2011, accommodates the local hesed and a number of Jewish community/culture center activities, stated Ms. Galkina. The latter include a youth club and dedicated programs for children, teens, and families. Various community celebrations are staged at the center. The theater and community hall are rented out to different groups to generate income. However, the building does not have a sports hall. JDC has been unable to establish the upscale preschool that had been envisioned as a revenue source, acknowledged Ms. Galkina. It also has been unsuccessful in its efforts to lease building space to commercial groups, another planned source of income. It was only after the building was completed, continued Ms. Galkina, that JDC realized that it is illegal for a charitable organization to derive income from rental space or other income-producing activity; they are attempting to secure a special status from the government to overcome this problem, but govern-ment officials seem not to understand the notion of a mixed-use facility or program, she said. The JDC building in Kharkiv is modern and centrally-located near public tran-sportation. However, local JDC officials acknowledge that some interior space stands vacant. Photo: the writer (in 2012). In response to additional questions about income, Ms. Galkina stated that she has expended considerable effort in attempting to attract local sponsors for various local JDC activities, but has been unsuccessful. First, she explained, JDC is perceived locally as a wealthy foreign organization that is not responsive to local input or needs; second, many local Jews believe American Jews "owe" post-Soviet Jews for the years that the latter have spent under Soviet and post-Soviet control, so American Jews are responsible for JDC; and third, the potential local donor base really is very limited. JDC is organizing a charity ball in May in an attempt to raise funds targeting services for children. It will be a black-tie affair, said Ms. Galkina, and will take place in a hotel ballroom made available without charge. Flowers and certain other goods also will be offered at no cost. Fundraising is done by placing charity boxes at tables, she responded to a question; she is aware that card-calling is an effective tool at many charity events in the United States, but JDC believes that local people will not respond well to public announcements of their gifts. An inaugural charity ball held last year attracted 200 people, Ms. Galkina stated, and they hope that more will attend this year. The old JCC building, which is located in a relatively remote area far from public transportation, remains in partial use, stated Ms. Galkina. It contains a preschool enrolling 60 youngsters and also operates some afterschool activities for children. In all, about 300 families use this facility, she said. 64. As noted previously, the eastern Ukraine Consulate of Israel and its attached Israel Cultural Center relocated from Dnipropetrovsk to Kharkiv in December 2012. The stated reasons for the move are: (1) Kharkiv is a larger city with a more diverse economy and stronger cultural base; (2) Kharkiv is more sophisticated generally with its many universities and scientific institutions; and (3) Kharkiv is more significant globally due to its infrastructure in science and the presence of consulates of other countries in the city. Many Jews associated with academic and scientific life in the city are more distant from Judaism than are many Jews in Dnipropetrovsk, acknowledged Israelis associated with the Consulate and ICC, but they ask sharper questions and are more responsive to the type of sophisticated presentations that Israelis prefer to advance about Israel. Further, say the Israelis, as a larger city, Kharkiv has more advanced transportation links and is easier to visit, especially for people in Donetsk and Luhansk, two additional cities in eastern Ukraine. Notwithstanding the more sophisticated population in Kharkiv, rumors abound about Israel within local universities and among intellectuals in general, several observers said. Some rumors are based on common antisemitic stereotypes and some just seem to be fantasies. The ICC brings lecturers on various subjects to local campuses; after a formal presentation, the speakers circulate among those who linger and, along with additional Israelis from the ICC, engage people and attempt to answer their questions. Many local intellectuals, including Jewish intellectuals, will not enter Jewish institutions, but will attend lectures by Israelis at their own campuses and then speak with Israelis at receptions or other gatherings. The Israel Culture Center follows the same principle with showings or performances by Israeli artists. Arrangements are made for presentations at public venues and followed by "mix and mingle" sessions in which the artists and ICC professionals can engage local individuals in informal discussions. Events featuring Israeli performers always draw a large number of Jews otherwise uninvolved in Jewish life, said an ICC official. Young people, said one ICC professional, have few dreams. They may apply to particular universities or institutes, but are assigned to course concentrations (majors) according to arbitrary quotas. They are accustomed to others making decisions for them. MASA, this individual continued, allows young adults to have dreams and gives them the tools for pursuit of these dreams; MASA programs can be tailored to serve as exploratory vehicles for dream careers in Israel. The Israeli Scout program is active in Kharkiv, engaging about 50 pre-teens and teens. It also operates in multiple smaller cities in the region, such as Artemovsk and Novo-Donetsk, where few other opportunities for Jewish involvement exist. Generally, the social level in these towns is low; the Scout program, which includes volunteering with elderly and orphans, boosts the self-confidence of participants and makes them stronger. After several years as a Scout, they are better prepared to leave home, join a Taglit group and then a MASA group, and eventually settle in Israel. Young people who participate in a continuum of such programs usually are highly motivated to be successful in Israel, stated a professional. An additional reason mentioned unofficially in both Dnipropetrovsk and Kharkiv is that the Consulate and ICC were uncomfortable with the extraordinarily strong Chabad influence in Dnipropetrovsk. Although Rabbi Moskovitz in Kharkiv is more than competent in advancing the Chabad agenda in that city, he is far less controlling and confrontational than his colleague in Dnipropetrovsk. 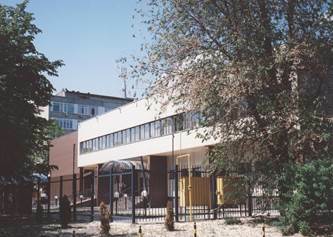 Further, the downgrading of the Jewish Agency office in Kharkiv leaves the Consulate and Israel Cultural Center as the primary Zionist organization in the city.